It's your birthday today which is absolutely FABULOUS. So, gather your husband and your kitties around you and celebrate in style with good food, good friends, and the very best of wishes for the upcoming year. I'm delighted that you're my friend. Here's a starry pic for my favorite astronomer. 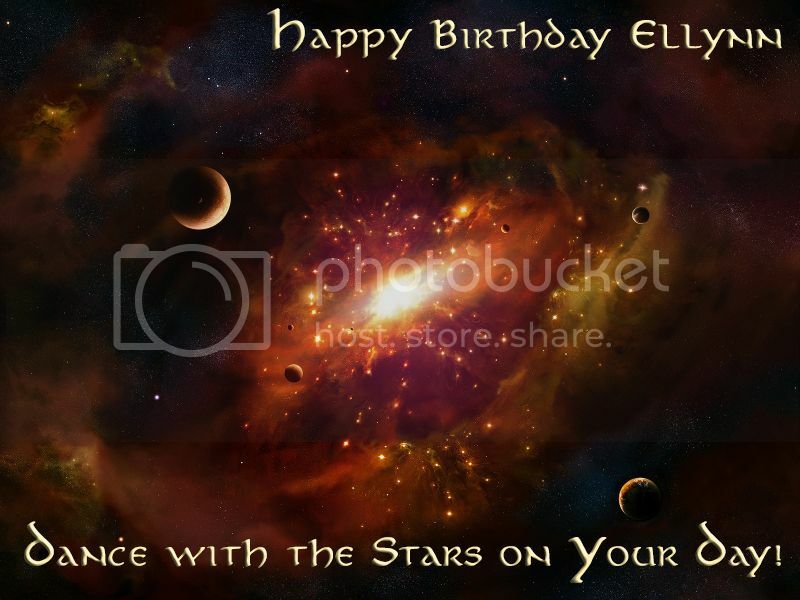 Happy birthday, Ellynn :) Best wishes.